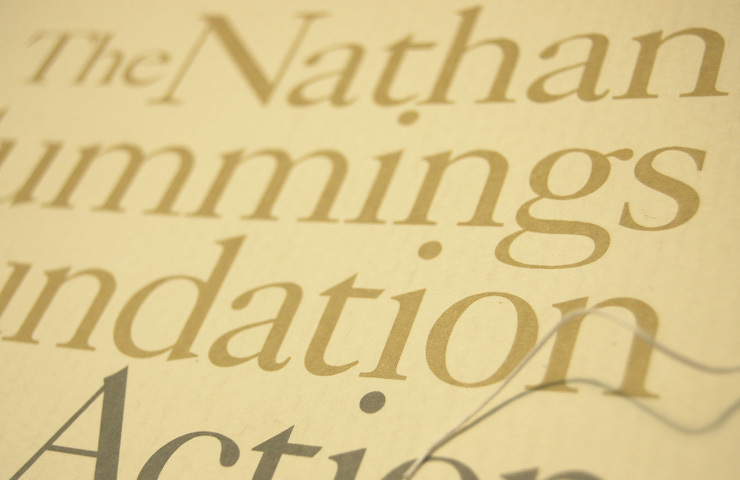 For The Nathan Cummings Foundation, we created an innovative ten-year report around the organization’s efforts to support democratic values and social justice. 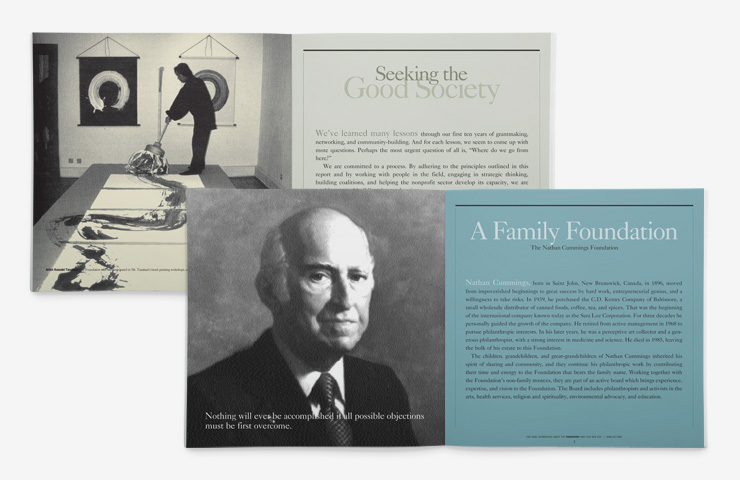 Our goal was to create a milestone document that would encourage the reader to look back at the organization’s achievements, but also look forward to a roadmap of exciting plans. 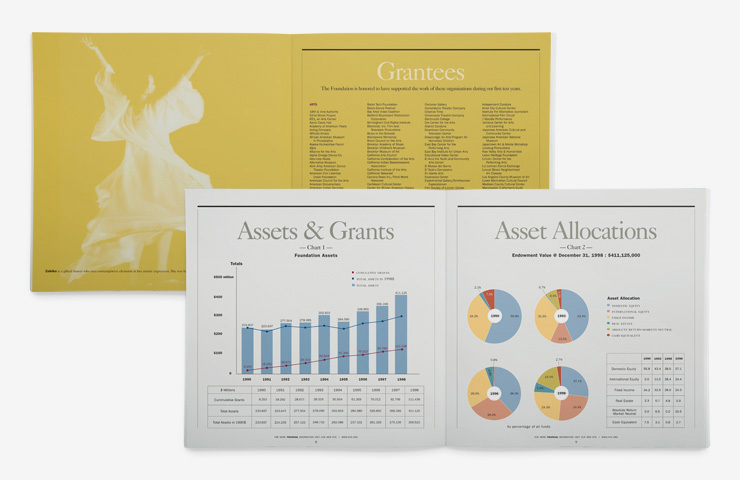 The portfolio-style report opens in the middle with a double gatefold cover to divide the content into two halves. Once opened, the reader could peruse backward, to the left — or forward, to the right, representing the action-and-reflection theme in words, as well as in actual structure. 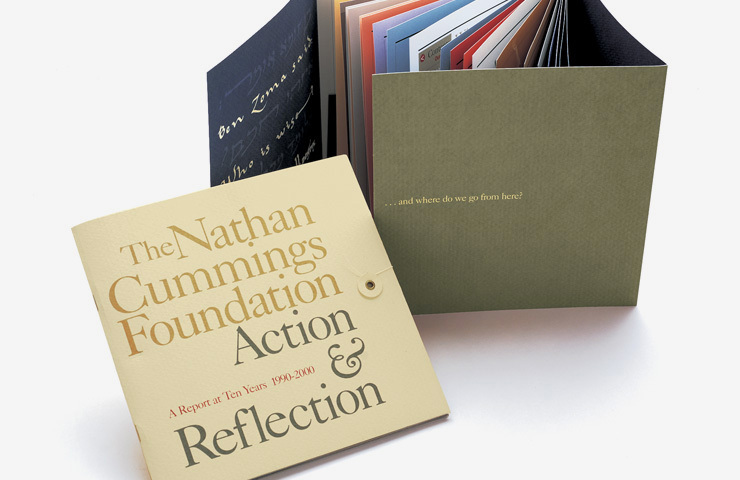 The report served as an important milestone document for the foundation and was received with overwhelmingly positive feedback.